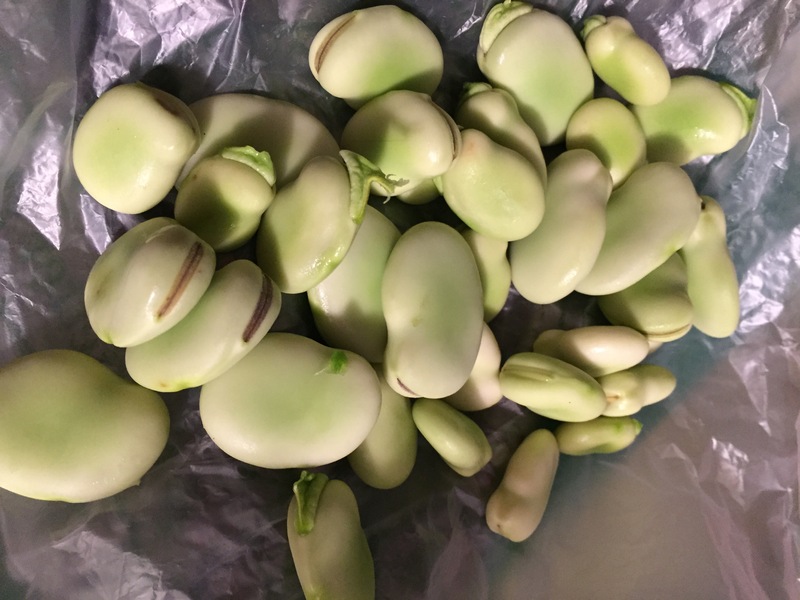 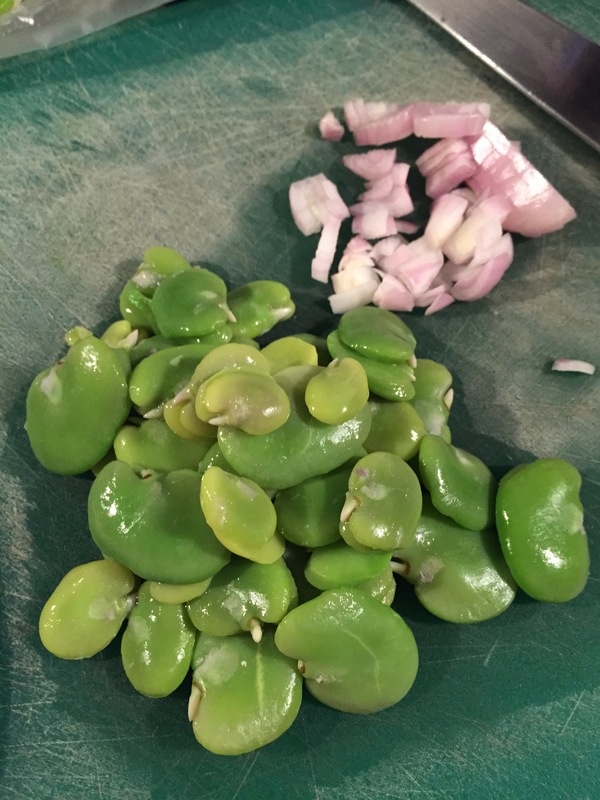 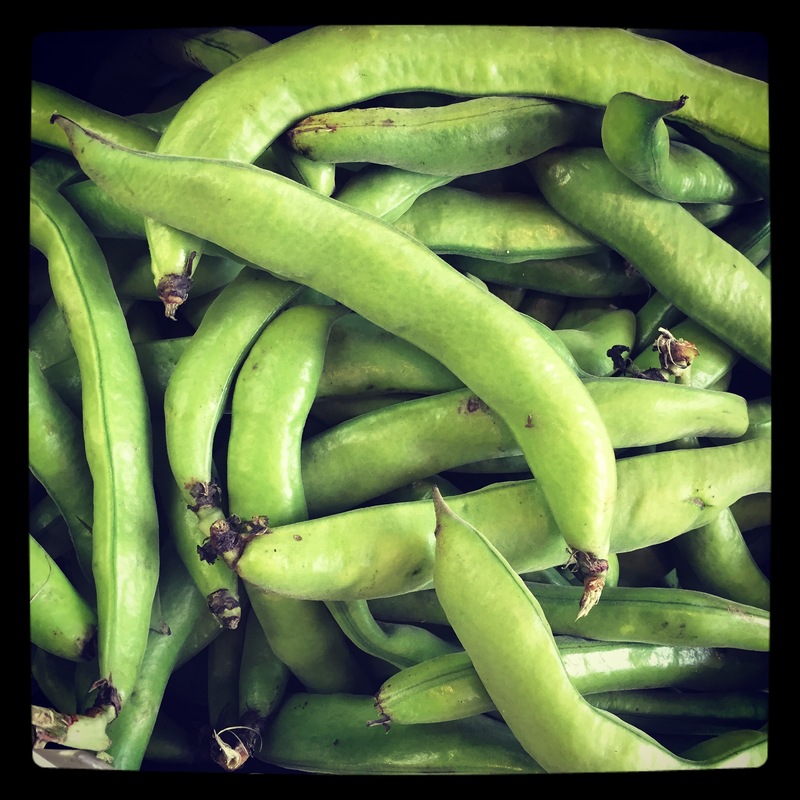 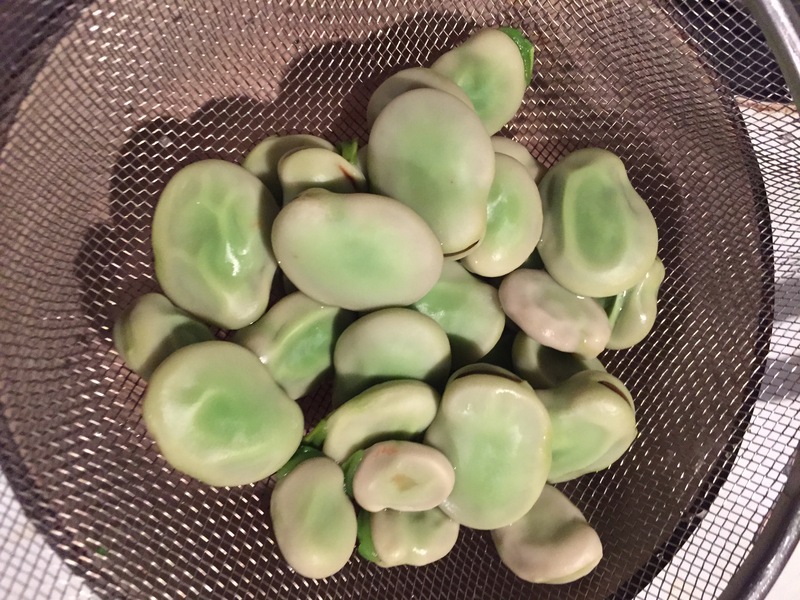 I found some beautiful fava beans at work the other day (Mother Earth’s Storehouse Poughkeepsie NY store). 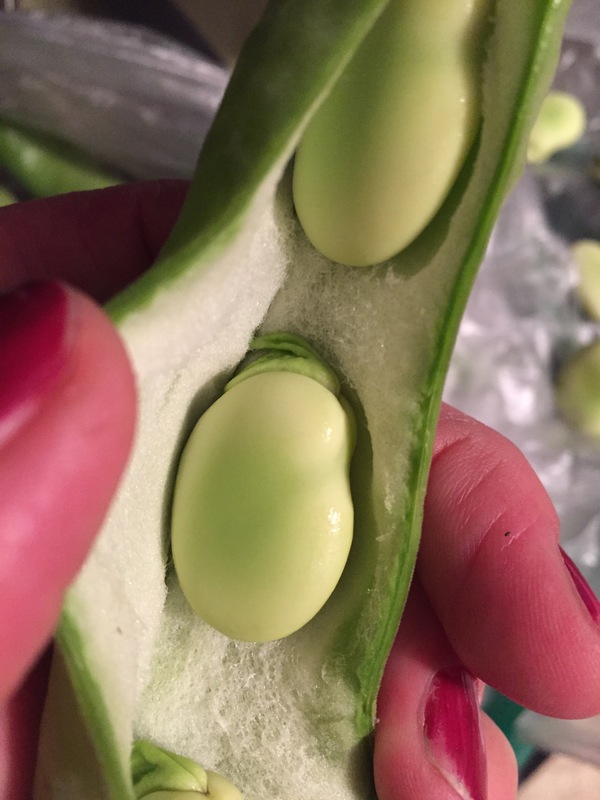 Like giant green beans without, but with treasures within, they are irresistible. 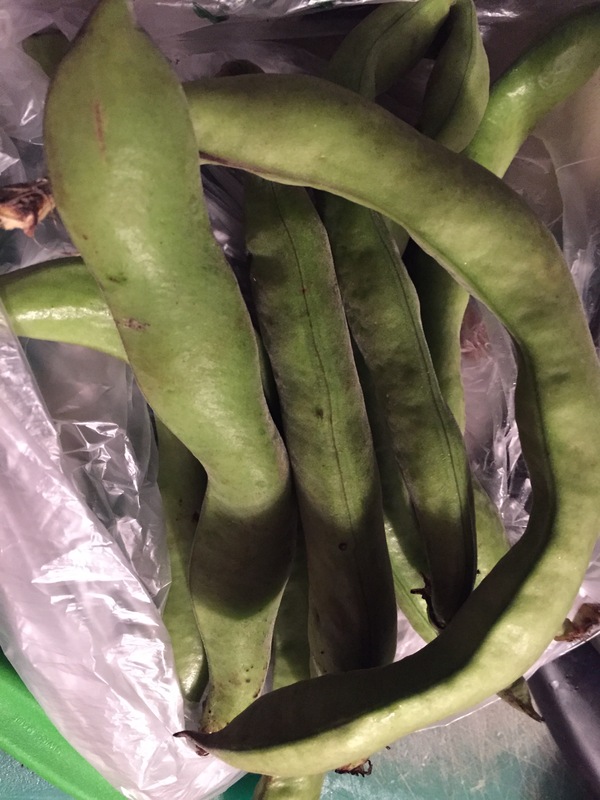 Had to take some home. 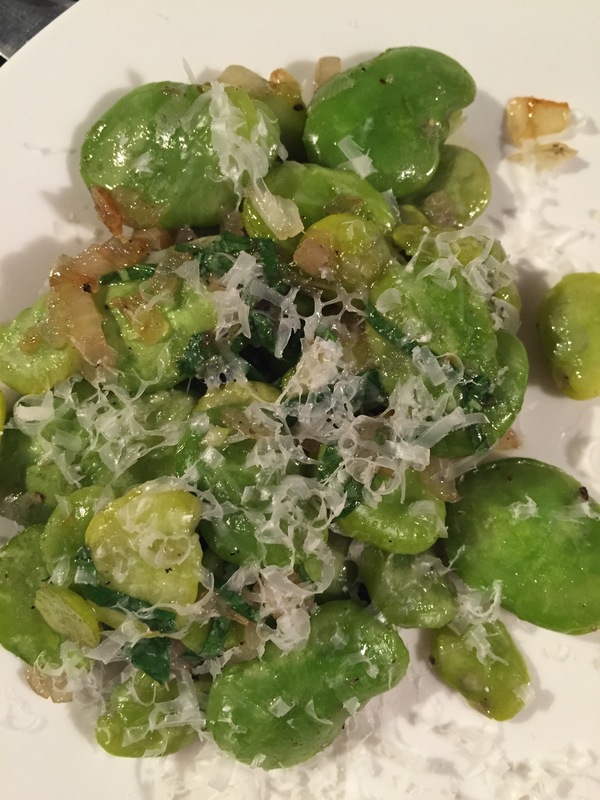 … Then sautéed shallot in olive oil, threw in the favas, tossed a few minutes with sea salt and freshly ground black pepper, then turned off the heat and stirred in slivers of mint, a splash more olive oil, a dash of white wine vinegar … then topped it all with microplaned fluffs of Parmigiano … sublime.